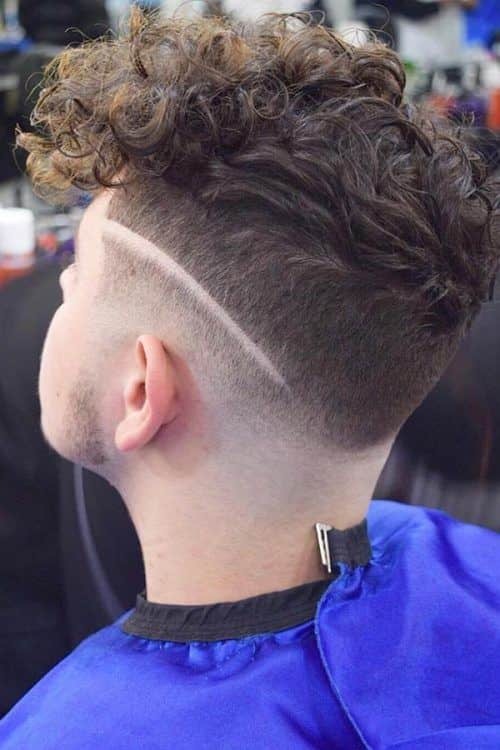 A Curly Undercut hairstyle can be as different as it can be done with so many different techniques. Are you keen to find your preferable one? 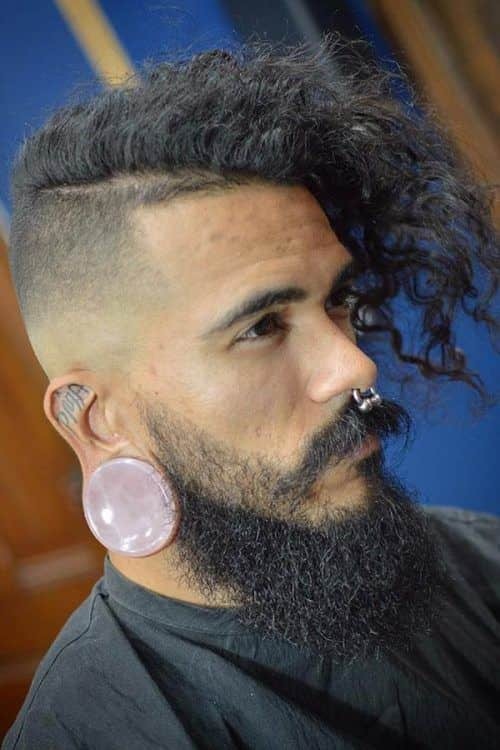 The hair industry has so many looks to offer for men with curly hair. We have picked the best ones that will make you look effortless and charming without you spending much time on your hair. Choose the one that matches your style and structure of hair in the best way and rock it with confidence. Some curly hair men consider it to be a nightmare, but we can`t disagree more. A true blessing with which you can experiment so much to look the best way possible. One of the trendiest ways to keep up with curly hair is to choose a curly undercut hairstyle. 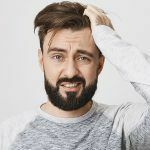 Of course, it can be not the easiest to maintain this hairstyle however the final look of it will make you forget about all of the difficulties you`ve had during the process of styling. Are you curious to see what we are talking about? Would you like to upgrade your hairstyle and rock it? 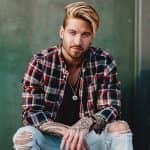 There are so many men`s haircuts that will look absolutely stunning, and a long curly undercut is for sure one of them. 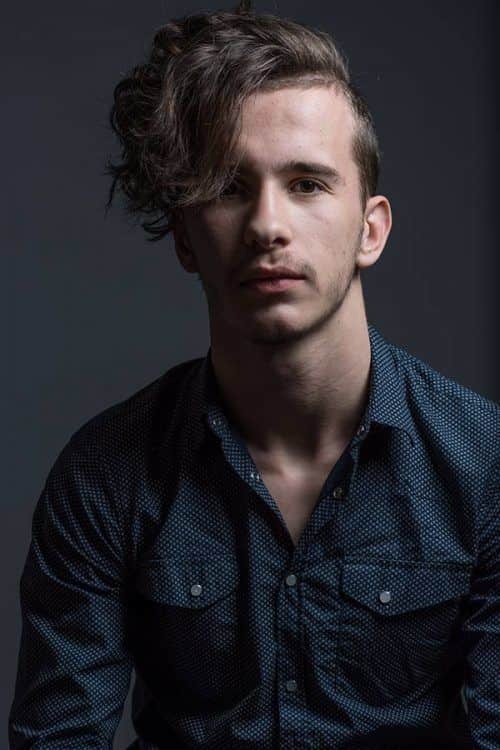 The best way for keeping your long curly undercut hair looking good is to keep it longer at the fringe area while cutting it a bit shorter at the back. Make sure the length of your hair at the front area reaches your nose cause that is the secret condition that makes this style super flirty and charming. Are you up for experimenting with your hair? 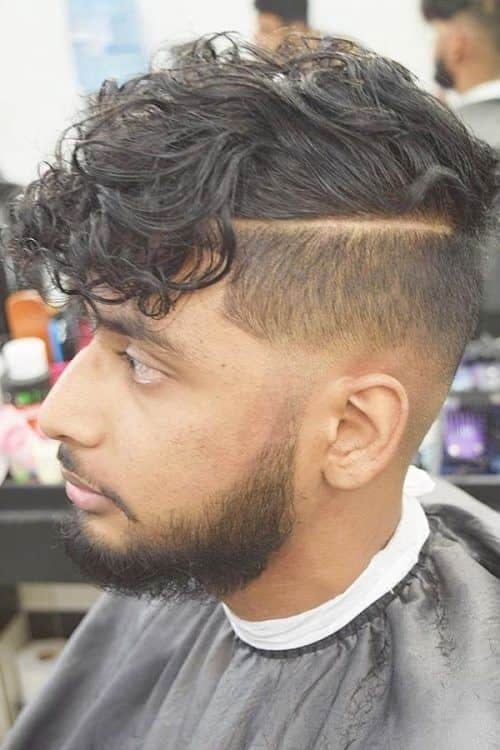 Would you like to bring in even more changes rather than just choosing new curly hairstyles for men? Well, we have a perfect idea then. 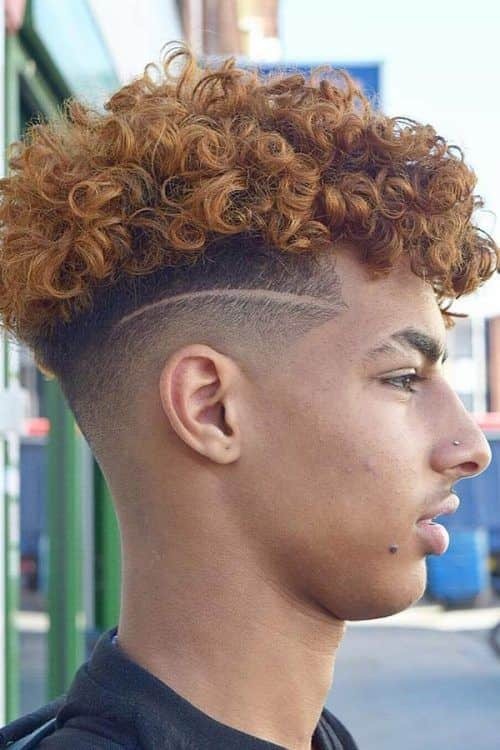 Define the structure of your curly hair not only with an undercut but also with bleaching it and making it an interesting accent in your look. This is a true rock star’s choice among short mens haircuts. We love different variations of undercut hair, and this one is truly one of the favorites. Just have a look at this side-swept curly hair that looks so charming and brings in some spiciness into the appearance. Don`t you agree? It is also a perfect solution for men whose hair is not perfectly curly and tends to be a bit wavier. Leave your hair longer and thicker at the top layer and keep the sides clean and faded. 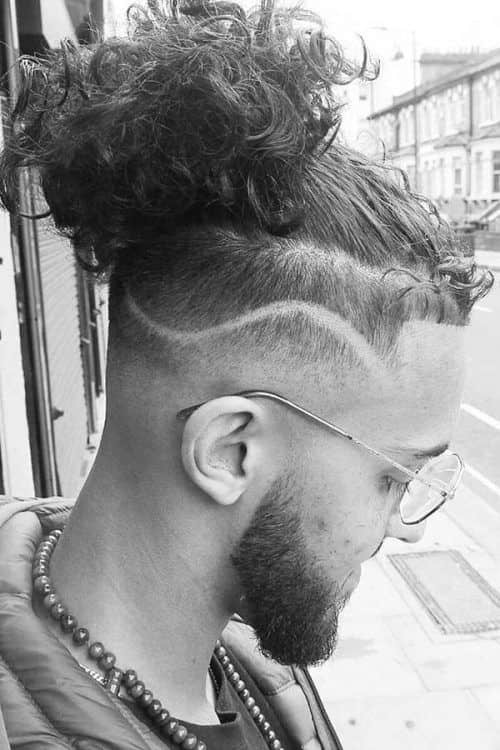 One of the trendiest haircuts for men at the moment for sure. 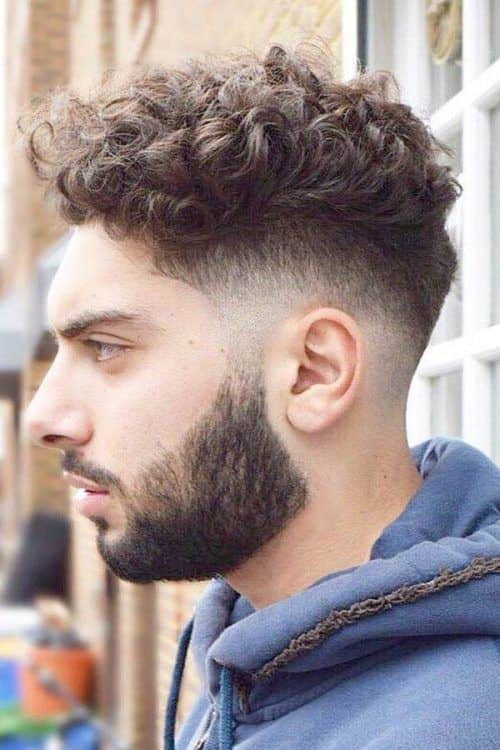 Do you have curly hair that you prefer to cut short? Then we have some perfect short haircuts for men with such a structure of hair. A military haircut is there to become your best choice. Neat and good-looking it will make you look perfect any time of the month, keeping your curly hair in place all the time. Short curly hair has never been out of the trends, for sure. If you are not ready to say goodbye to your long curly hair but would love to make it look neater, we have a perfect solution for you. Leave the undercut long hair at the top and fade the sides really shortly. So fresh and clean, it will make your appearance pop, especially if you try a man bun that is so popular right now. One of the most stylish guys haircuts. 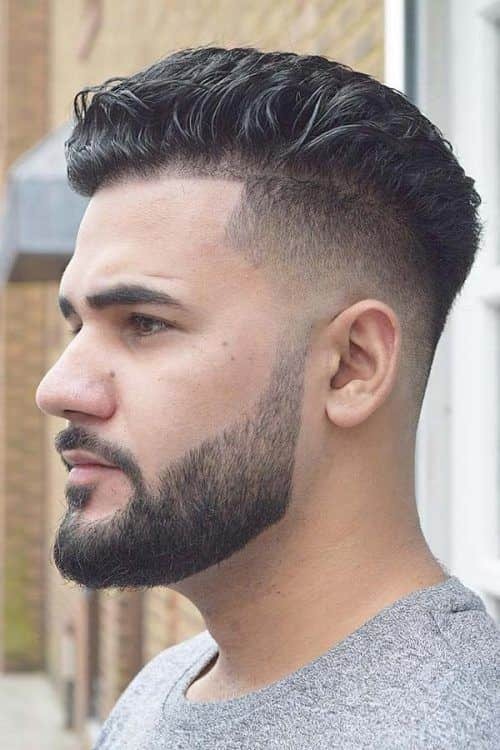 Among best haircuts for men, there is this one. It will prevent your hair from tangling and will make your life with thick curly hair easier. We love clean looking haircut styles for men. With a fading technique at the sides, you will get a nice transition from short to long hair that will make your appearance pop. 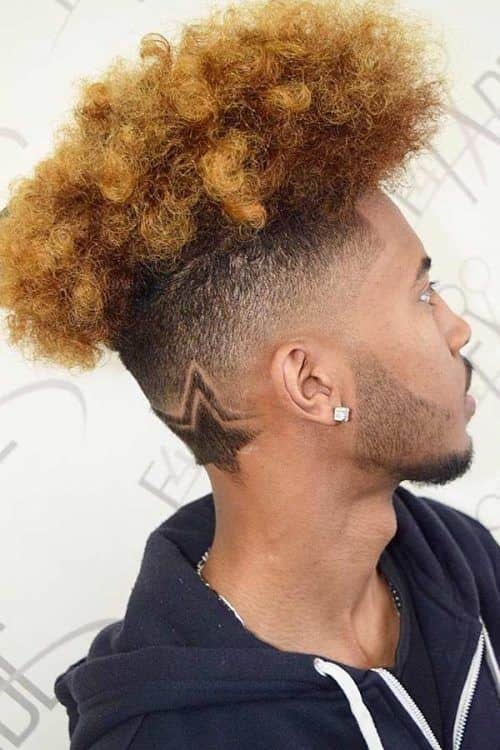 A faux hawk fade is here to make your curly hair pop! We love how unique and beautiful it looks. It is one of the most popular mens haircuts that helps men to rock the curly hair without much of the effort. For sure it looks harder to keep up with than it really is. No one can deny the fact that a pompadour hairstyle never goes out of style; however, imagine when it is combined with curly hair undercut. Isn`t that a true style definition? Curly short hair will look perfect when styled like this, don`t you agree? Interesting details in the hairstyle can definitely change the appearance of the person. Here is a great example of how such a small change brings so much difference into the look. A top front curly bang that is long at the front and short at the back will make you look amazing and really stylish. Curly hair with bangs is so unique looking, don`t you think? Almost every curly hairstyle looks perfect when done with a faded undercut. Such a technique will keep your sides clean and neat while the top layer of your hair will bring in a charming messy effect that is so trendy right now. 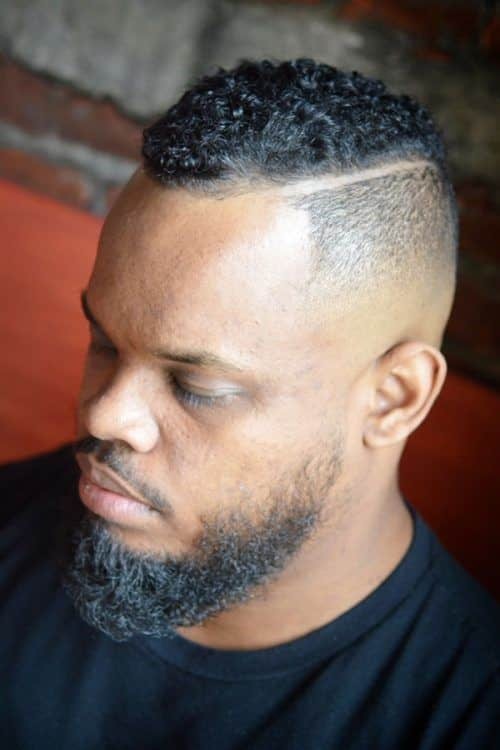 Men who love afro hair can still rock it while choosing an undercut hair at the same time. With neat effect at the sides, it will make all curly haircuts pop and look amazing, especially this one. A great choice for those who love trying new things! There are so many curly hairstyles that you can try. We have gathered the best ones that will upgrade and freshen up your look without you putting much effort into dealing with it. Perfect for men who love to look stylish.